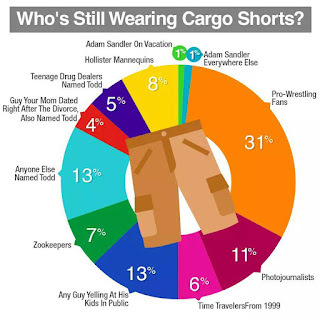 I saw this infographic posted somewhere else and (let me pull my cargo shorts a little higher) I hate fashion. This isn't a rant against you, dear Mr. Finch. It is against people who say what is in or out of style. Buzz off, I say. I wear what is comfortable and what is appropriate by society. After those criteria, who gives a rat's patootie what I wear. Here endeth the rant. 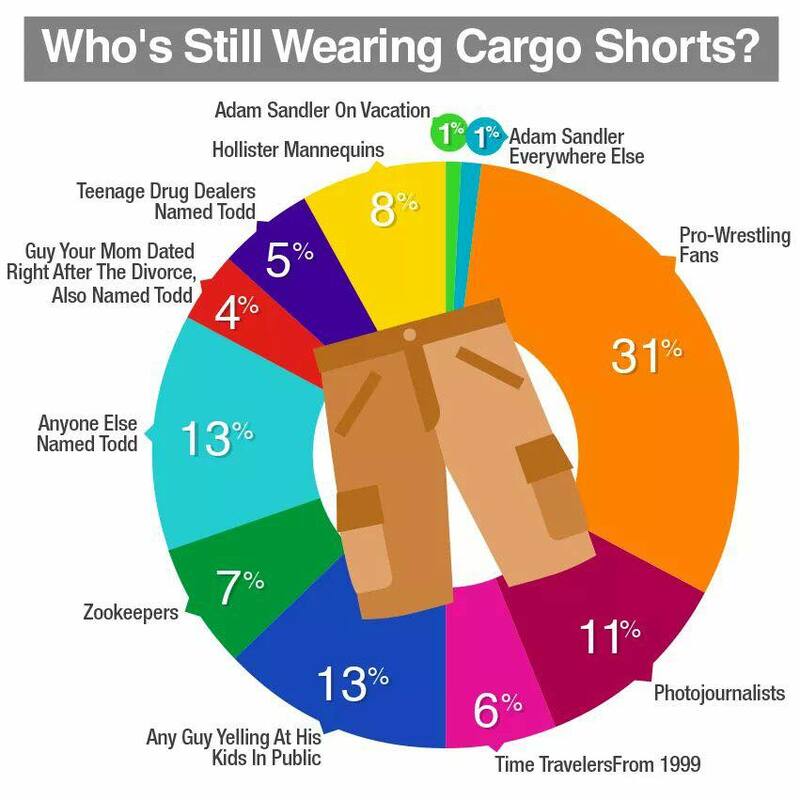 I'm trying to switch from cargo to 80's print elastic waistband, but they're hard to come by. Do you have any sources, Matt?